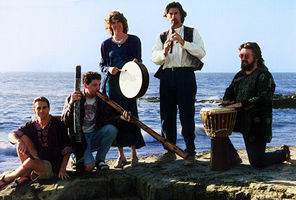 Didginus was formed in 1995 in San Diego, starting with guitarist & didgeridoo player Randy Graves and UCSD Music classmate, vocalist and percussionist Greg Callahan, who shared an interest in music and culture from around the world, particularly the music of David Hykes. Soon to join were percussionist Ray Conseur, wind player Larry Cammarata, and vocalist Linda Stutting. The group performed their own brand of "world music" featuring didgeridoo, voice, guitar, and winds & percussion from around the world, in California and at festivals around the southwestern United States. Two full CD's were released, the homebrew debut "Into the Soul," and the live album "More Than Alive," which also featured Tony Karasek on instruments of India. Scroll down for more info and to buy the CDs. After 5 years of fun and fellowship, Didginus called it quits with a final performance in November, 2000. A live concert recording capturing the energy of a Didginus show, including the driving rhythms of didgeridoo and drumming, along with vocals, winds, guitar, tabla and sitar. Scroll down for more info. CLICK HERE Click Play to hear some highlights from the CD. Click "Add to Cart" to buy the CD for only $7 (plus $2 for non-USA customers) or go HERE to save on a set of discs. You can also download MP3s of the album from CDBaby, Amazon or iTunes. Didginus' second CD, "More Than Alive," was released in January, 1999. This CD is a live recording that features the same variety of ethnic ambience and danceable beats as the band's debut disc, "Into the Soul," and adds Indian flavor with the addition of special guest Tony Karasek on sitar, tabla, and bass guitar. The words of Jelalludin Rumi, as translated by Coleman Barks, make a return appearance on this CD, providing the keynote address of sorts in the opening track, "Community of the Spirit." Upbeat Didginus favorites like "Gadia Celebration" and "Chant Jemima" return on this disc in new spiced-up versions, alongside three new band tunes and two new solos, for didgeridoo and tabla. If you liked "Into the Soul," "More Than Alive" is a must-have, capturing the live, raw energy of a Didginus show. From energetic to meditative, this CD features Australian Didgeridoo, Japanese Koto, African Drums, Guitar, Vocals, Native American Flute, and much more. Scroll down for more info. This CD is out of print, but you're in luck, we just found a few copies and are selling them for only $7 (plus $2 for non-USA customers). We are also selling the album digitally through several leading online retailers. 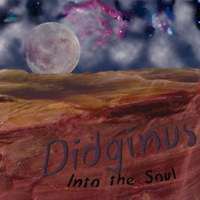 Didginus released their homemade debut album "Into the Soul" in March of 1997. This album captures their unique blend of instrumentation from around the world which weaves a rich montage of heart pounding percussion and soothing melodies. "Gadia Celebration" starts out the album with a bang, from punchy didgeridoo playing to clanging Chinese gongs, accompanied by African drums. "So Why II" calms things down for a bit with Japanese koto and Native American Flute. From there, the CD provides a mix of high energy and ambience until the huge crescendo and climax of "Gate Gate." Click on the images below to enlarge. 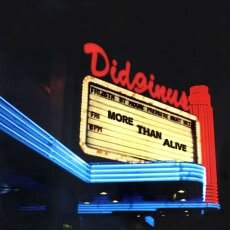 Also check out Didginus' second CD, "More Than Alive."